The Tampa Bay Buccaneers come up to Minneapolis for a week three NFC battle against the Minnesota Vikings on Sunday. The Vikings had a rough week two, with injury issues sidelining Sam Bradford and a tough 26-9 loss to the Steelers. After a week one win that provided so much promise, the Vikes now face a dicey future with the Bucs coming into town. After seeing their week one game postponed with hurricane concerns, they looked really good in week two with a 29-7 win at home over the Bears. They look for more of the same on the road this week. Having never been the most-durable of quarterbacks, the Vikes were hoping Sam Bradford had put his injury woes behind him. After a great first game, following a season where he set the season completion percentage, it looks like his knee is beginning to betray him. They made the move to get him last season after the career-threatening injury to Teddy Bridgewater and it looked to work out better than anyone expected. But Bradford now being in a state of peril with the knee throws a different light on a team that had gotten off to such a promising start. The cross-conference matchup against a tough Steelers team on the short week perhaps painted the Vikes in a worse light than normal. But the offense is not going to be the same with Bradford not behind center. Case Keenum was not inspiring in relief, going 20-for-37 for 167 yards and no touchdowns. They weren't able to utilize the run-game after falling behind, with Dalvin Cook effective, but not utilized enough. While the receiving crew of guys like Adam Thielen, Stefon Diggs, TE Kyle Rudolph, and others can be decent with the right quarterback, it looked humdrum with Keenum behind center. As of press time, Bradford's status isn't completely known. He has been practicing, but we don't know if he will be a full participant on Sunday. Allowing 26 points to the Steelers at home with an offense not providing a lot of support is not a bad effort. This Vikings defense is strong, but only truly shines when getting help on the other side of the ball. They are strong up-front with Everson Griffen and Danielle Hunter. Griffen had 2 sacks on Sunday. Eric Kendricks, Anthony Barr, and Ben Gedeon played well in the middle, with good safety play from Andrew Zendejo and Harrison Smith. Corners Trae Waynes and Xavier Rhodes did a pretty good job. Again, this team, like most teams, operates in consort. And with the offense suddenly thrown into a funk, the entire operation is undermined. We suspected the Bucs would provide a high-energy effort on Sunday after having to hold themselves back an extra week. They took it right to the Bears and by the end of the first half, it was practically a wrap. Chicago's only score was with less than two minutes left with the game already decided. Both sides of the ball played well. Remember this is a team that went 9-7 last season after a 1-3 start. They are on the rise and nothing on Sunday served to change that perception. Jameis Winston was 18-for-30 with 204 yards, along with a TD pass with no picks. He hit Mike Evans with an early touchdown. Evans had 93 yards on the day. First-year Bucs' receiver DeSean Jackson was quiet with 3 catches for 39 yards and no catches in the second half. The Tampa run-game is not their strong suit on offense, especially with Doug Martin still serving out a suspension. But Jacquizz Rodgers and Peyton Barber were decent, with Rodgers scoring on the ground. With seven of Tampa's points coming on a defensive TD, it wasn't a great offensive performance perhaps, but they had to be a little rusty having not really been in real action for close to a month. Despite the apparent rust, the Tampa defense didn't appear to miss a step. The only score they yielded came late and they scored a touchdown of their own. Chicago was held to 20 rushing yards on 16 rushes and a big part of that is DT Gerald McCoy (questionable). They had good play on the line with Noah Spence getting a sack. Lavonte David was all over the field. Hopefully in coming weeks for the Bucs, the secondary tightens up, as Mike Glennon was over 300 yards on Sunday. Guys like Brent Grimes (questionable), Chris Conte, and Keith Tandy are all going to have to play better this season if Tampa wants to go far. At the same time, we can't get too critical when the defense only allows just one garbage TD at the end of the game. This is tough road test for Tampa. With the offense looking like it might take a while to hit their top-gear, this might not be the best defense to be facing. Tampa looks like their heads are in the right place and getting a game under their belt should make them better this week. For Minnesota, a big part of the equation is Sam Bradford. And with his status unclear this late in the week, it requires a little guesswork. In any event, I'm taking the Bucs. 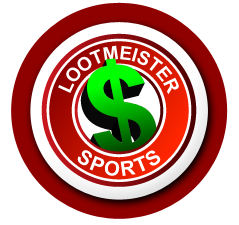 Loot's Prediction to Cover the Point Spread: I'm betting on the Tampa Bay Buccaneers plus 1.5 points. Tired of your credit card not working for sportsbook deposit? End that problem today and bet the Tampa Bay vs. Minnesota game by signing up at Bovada Sportsbook where your credit card WILL work and where you'll receive a generous 100% sign-up bonus!